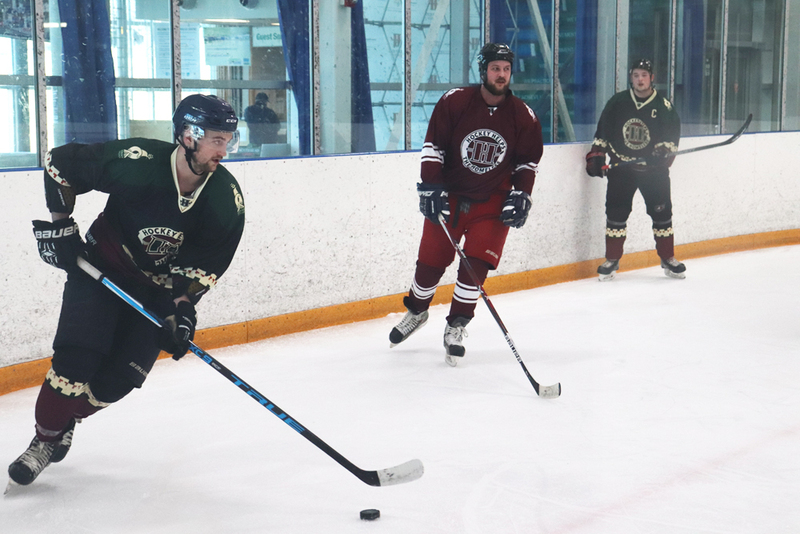 Students from Durham College hit the ice to make a difference in the community with the third annual Hockey Helps the Homeless (HHTH) Tournament. Fund raised during a one-day event go directly to Durham Outlook for the Needy. “We’ve kind of forged a relationship with the Durham College sport management program, and through that kind of adopted the event as part of their curriculum,” explains Scott Page, director of operations. Page says the event came about because HHTH has worked closely with the school before. “We had different relationships with the school in that we had worked with the sport management program there and had interns join us, and it’s kind of part and parcel through a lot of collegiate programs that we’ve had,” he says. In the past, Page says HHTH has raised $30,000 for Durham Outlook, and this year, Bri Scullion, communications consultant for HHTH says the organization has raised around $20,000 for Durham Outlook, giving them approximately $50,000 raised. Canada’s affinity for hockey makes it a perfect avenue for fundraising, Page explains. “The participants…have the opportunity to participate in essentially the experience of being a pro for the day,” explains Page. Prior to the event, Page said players would be greeted with what he calls the full celebrity experience. “We’ve got custom uniforms for all of the participants, snacks, and tape and supplies in all of the dressing rooms, and really we’re just trying to give them that pro experience for the day,” says Page. Different fundraising incentives and initiatives for the participants were offered throughout the tournament.